Apple’s use of AAC in lieu of MP3 is analogous to the Mac’s switch to USB in 1998. USB was an industry standard that wasn’t taking off because PCs didn’t ship with built-in USB ports, which PC makers didn’t include because there weren’t many USB peripherals on the market, which peripheral makers didn’t want to build because there weren’t enough PCs shipping with USB ports. Then came the iMac, whose only peripheral port was USB. (It didn’t even have FireWire.) All of a sudden peripheral makers had a reason to make USB gadgetry, and after that, PC makers had a reason to include USB ports on new PCs. 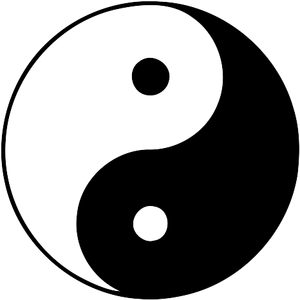 Hardware and software are the Yin and Yang of the tech industry. Some argue that one is more valuable than the other, but you can’t separate them. You need both. Apple is one of the few companies in the position to capitalize on this reality. From a human computer interaction (HCI) standpoint, if we are going to move forward the interaction, this necessitates hardware advances. And who is in the best position to push forward hardware advances that are included by default? Apple. The newest and perhaps most interesting HCI advances recently have been the result of great software and great hardware, together. The Tivo, Microsoft’s XBox and XBox Live, Nintendo’s Wii and Apple’s iPhone and Apple TV are perfect examples of what amazing things can happen when great hardware design meets with great software interfaces. Additionally, from a purely experiential perspective, people feel better about laying down large quantities of cash for something physical rather than something that’s purely intellectual property, as much as I personally value the later. Fundamentally, where should you look for human computer interaction innovation? You should look to the people who can move forward the whole stack, and can integrate it fully, seamlessly. In the realm of personal computers, that leaves only one company: Apple. Posted in apple, design, hardware, innovation, software.